Free Friday Wine Tasting 8-31-18! 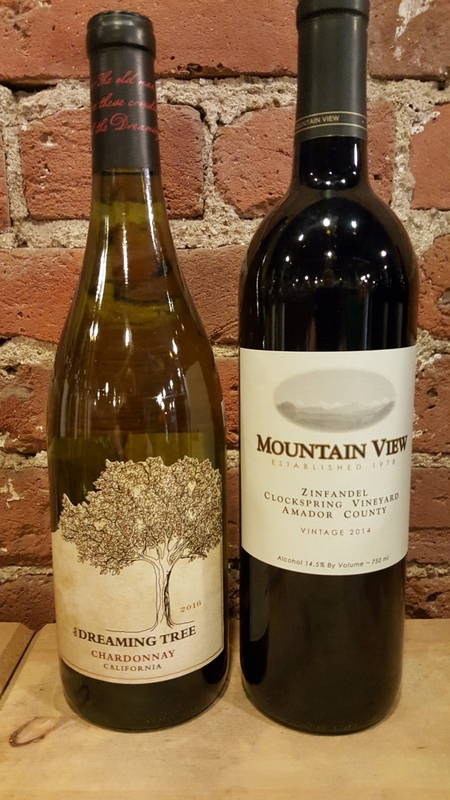 On Friday, 8-31-18 we will be featuring the Dreaming Tree Chardonnay 2016, from California, as well as the Mountain View Clockspring Vineyard Zinfandel 2014, from Amador County, California. We will have these open for tasting and discounted from 1pm-6pm! We look forward to seeing you at the tasting! http://winedenver.net/wp-content/uploads/2018/08/20180830_161222-e1535668408857.jpg 889 500 admin https://winedenver.net/wp-content/uploads/2017/04/Background-300x300.png admin2018-08-30 16:33:492018-08-30 16:33:49Free Friday Wine Tasting 8-31-18! When You Buy 2-Wednesdays, 8-29-18! On Wednesday, 8-29-18, all Wine is 15%-Off when you buy any 2+ bottles of any type Wine in the store! https://winedenver.net/wp-content/uploads/2017/04/Background-300x300.png 0 0 admin https://winedenver.net/wp-content/uploads/2017/04/Background-300x300.png admin2018-08-28 15:00:282018-08-28 15:00:28When You Buy 2-Wednesdays, 8-29-18! Free Friday Wine Tasting 8-24-18! 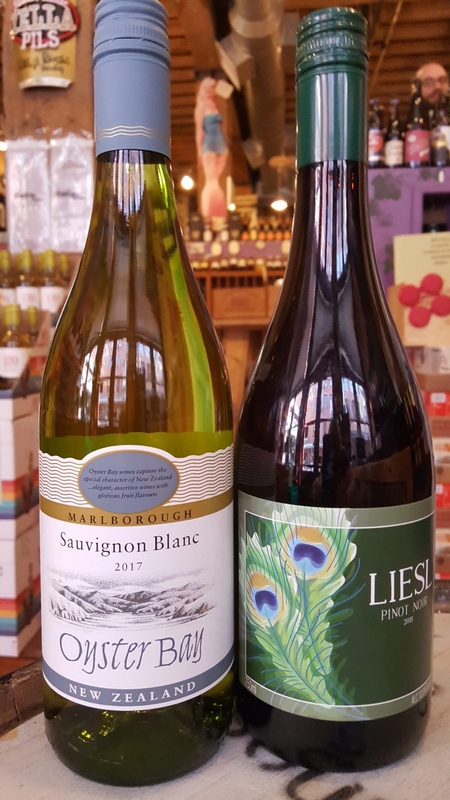 On Friday, 8-24-18 we will be featuring the Oyster Bay Sauvignon Blanc 2017, from Marborough, New Zealand, as well as the Liesl Pinot Noir 2015, from Pfalz, Germany. We will have these open for tasting and discounted from 1pm-6pm! We look forward to seeing you at the tasting! http://winedenver.net/wp-content/uploads/2018/08/20180823_152507-e1535060707437.jpg 889 500 admin https://winedenver.net/wp-content/uploads/2017/04/Background-300x300.png admin2018-08-23 15:46:012018-08-23 15:46:01Free Friday Wine Tasting 8-24-18! When You Buy 2-Wednesdays 8-22-18! On Wednesday, 8-22-18, all Domestic White Wine is 15%-Off when you buy any 2+ bottles of any Domestic White Wine in the store! https://winedenver.net/wp-content/uploads/2017/04/Background-300x300.png 0 0 admin https://winedenver.net/wp-content/uploads/2017/04/Background-300x300.png admin2018-08-21 12:49:142018-08-21 12:49:14When You Buy 2-Wednesdays 8-22-18! Free Friday Wine tasting 8-17-18! 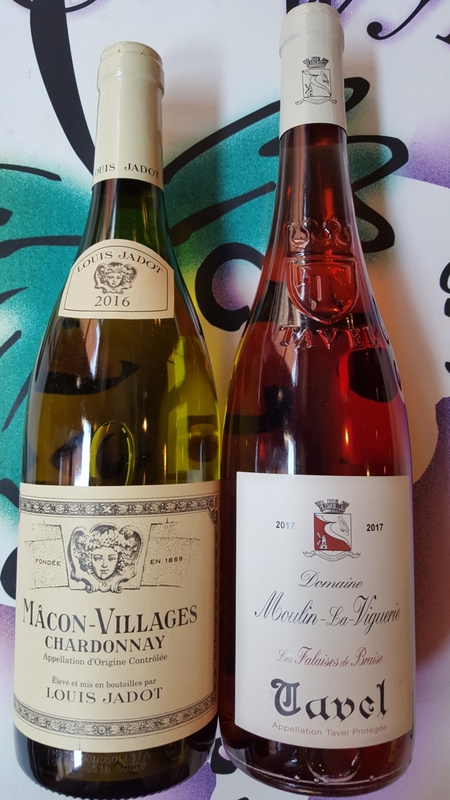 On Friday, 8-17-18 we will be featuring the Louis Jadot Mâcon-Villages 2016, from Burgundy, France, as well as the Domaine Moulin-La-Viguerie Les Falaises de Braise Tavel 2017, from the Rhône valley in France. We will have these open for tasting and discounted from 1pm-6pm! We look forward to seeing you at the tasting! http://winedenver.net/wp-content/uploads/2018/08/20180816_152719-e1534461175681.jpg 889 500 admin https://winedenver.net/wp-content/uploads/2017/04/Background-300x300.png admin2018-08-16 17:14:392018-08-16 17:14:39Free Friday Wine tasting 8-17-18! When You Buy 2-Wednesdays 8-15-18! On Wednesday, 8-15-18, all Imported Red Wine is 15%-Off when you buy any 2+ bottles of any Imported Red Wine in the store! https://winedenver.net/wp-content/uploads/2017/04/Background-300x300.png 0 0 admin https://winedenver.net/wp-content/uploads/2017/04/Background-300x300.png admin2018-08-14 13:10:442018-08-14 13:10:44When You Buy 2-Wednesdays 8-15-18! 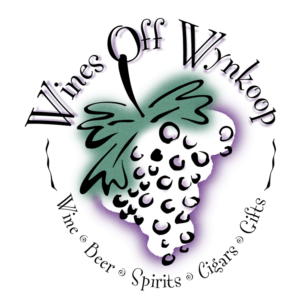 Free Friday Wine Tasting 8-10-18! 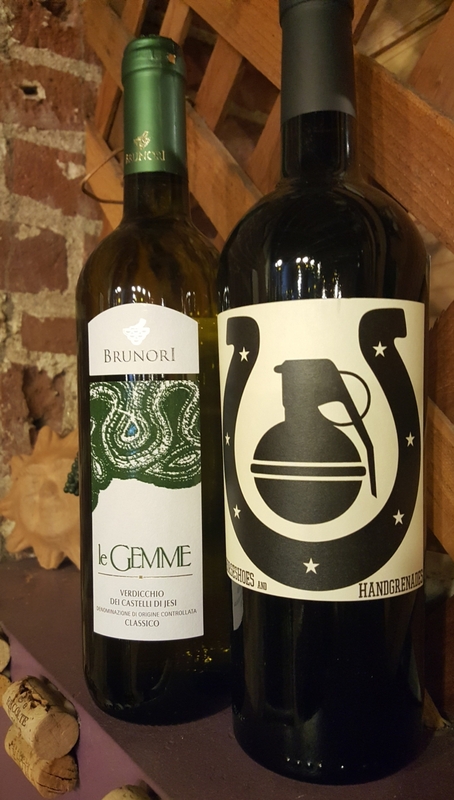 On Friday, 8-10-18, we will be pouring the Brunori “Le Gemme” Verdicchio dei Castelli di Jesi Classico 2016, from the Marches region of central Italy, as well as the Mouton Noir Wines “Horseshoes and Handgrenades” NV American Red Blend, featuring varietals from Oregon and Washington State. We will have these open for tasting and discounted from 1pm-6pm! We look forward to seeing you at the tasting! http://winedenver.net/wp-content/uploads/2018/08/20180809_141807-e1533847290465.jpg 880 500 admin https://winedenver.net/wp-content/uploads/2017/04/Background-300x300.png admin2018-08-09 14:43:372018-08-09 14:43:37Free Friday Wine Tasting 8-10-18! When You Buy 2-Wednesdays 8-8-18! On Wednesday, 8-8-18, all Imported White Wine is 15%-Off when you buy any 2+ bottles of any Imported White Wine in the store! https://winedenver.net/wp-content/uploads/2017/04/Background-300x300.png 0 0 admin https://winedenver.net/wp-content/uploads/2017/04/Background-300x300.png admin2018-08-07 13:41:042018-08-07 13:41:04When You Buy 2-Wednesdays 8-8-18! Free Friday Wine Tasting 8-3-2018! 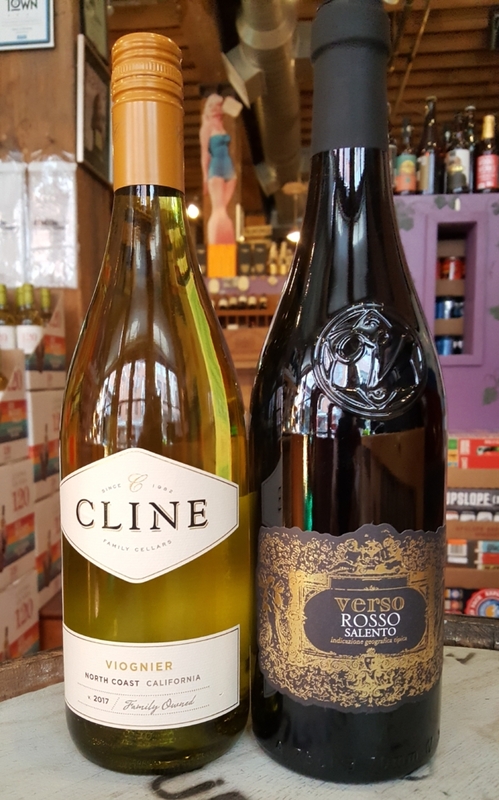 On Friday, 8-3-18, we will be pouring the Cline Family Cellars Viognier 2017, from the North Coast of California, as well as the Verso Rosso 2016, from the Salento region of Puglia, Italy. We will have these open for tasting and discounted from 1pm-6pm! 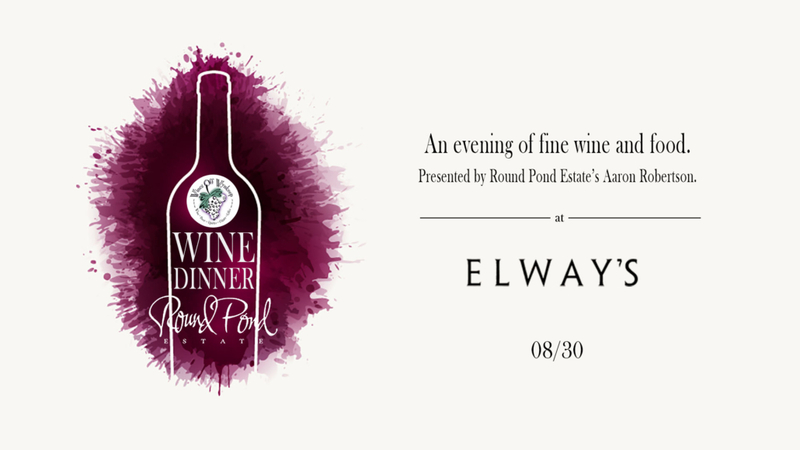 We look forward to seeing you at the tasting! http://winedenver.net/wp-content/uploads/2018/08/20180802_162209.jpg 4759 2965 admin https://winedenver.net/wp-content/uploads/2017/04/Background-300x300.png admin2018-08-02 16:35:382018-08-02 16:35:38Free Friday Wine Tasting 8-3-2018!